The new compression ignition engine is 20 percent to 30 percent more fuel efficient than the Japanese automaker's current engines and uses a technology that has eluded the likes of Daimler AG and General Motors Co. The announcement places traditional engines at the center of Mazda's strategy and comes just days after Mazda said it will work with Toyota Motor Corp to develop electric vehicles and build a $1.6 billion U.S. assembly plant. "We think it is an imperative and fundamental job for us to pursue the ideal internal combustion engine," Mazda R&D head Kiyoshi Fujiwara told reporters. "Electrification is necessary but... the internal combustion engine should come first." Mazda's engine employs spark plugs under certain conditions, such as at low temperatures, to overcome technical hurdles that have hampered commercialization of the technology. Executive Vice President Akira Marumoto called Mazda's engine technology the automaker's "heart". AEMSS' Miyashita said a key issue would be how smooth and responsive the engine is. Mazda's announced its petrol-engine technology breakthrough on the same day that shares in Japan's GS Yuasa Corp surged after a newspaper reported that it would start producing a lithium battery that would double the range of electric cars as early as 2020. 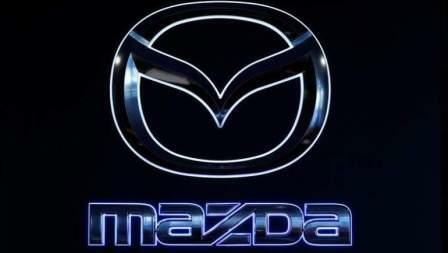 Mazda's share price closed down 1.3 percent. That compared with a 0.3 percent fall in the benchmark Nikkei 225 index.